This synthetic report presents the results of very large-scale excavations during 1993–4 at the Roman settlement at Scole, in advance of highway construction. 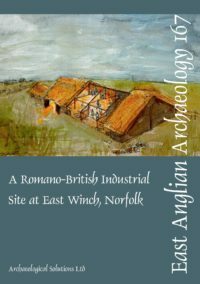 Scole is located on the border between the present-day counties of Norfolk and Suffolk, at the point where the main road from Camulodunum to Venta Icenorum crossed the River Waveney. 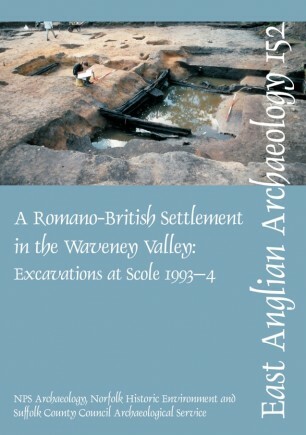 As well as describing settlement morphology and development over an extensive area, it includes a number of specialist studies of exceptional importance — notably those dealing with a large body of waterlogged Roman structural timber, with the character and context of metalworking within the settlement, and with the environmental sequence recorded in a palaeochannel of the river. Other highlights include an account of a possible maltings complex, and a critical study of the formation of ‘dark earth’ deposits which draws upon the evidence of artefact distributions and soil chemistry.